Provo • It certainly wasn’t BYU’s first choice, but it will have to do. Teams that go 6-6 and aren’t affiliated with a conference can’t afford to be picky, regardless of how well they travel. After a week of agonizing over whether they would be invited to a bowl game after missing out on postseason play last year for the first time since 2004, the Cougars accepted an invitation to play in the Famous Idaho Potato Bowl at Albertsons Stadium in Boise, Idaho, on Dec. 21 against Western Michigan (7-5) of the Mid-American Conference. Kickoff is at 2 p.m. MST and the matchup will be televised by ESPN, which owns the bowl and was obviously involved in getting BYU into a game. BYU was supposed to play in the Poinsettia Bowl, but was left without a bowl destination when that San Diego bowl folded in January of 2017. The Cougars are obviously familiar with the blue turf, having gone 0-5 against Boise State there, including a heartbreaking 21-16 loss on Nov. 3 in which freshman quarterback Zach Wilson was sacked at the 4-yard line as time expired. “Well it’s a good thing I love potatoes! !,” Wilson said on Twitter Sunday afternoon, after having lobbied along with several teammates last week for an invitation from another ESPN-owned bowl, the Gasparilla Bowl in Tampa, Fla. Instead the Cougars will head 380 miles north to Boise, where the temperature was 34 degrees at 2 p.m. Sunday. It will be BYU’s first appearance in the Potato Bowl, which was founded in 1997 and was formerly known as the Humanitarian Bowl. The bowl has contracts with the Mountain West and Mid-American conferences. BYU is filling the Mountain West’s spot, a curious arrangement by ESPN and the league considering 6-6 Wyoming of the MWC was not invited to a bowl. The Cowboys defeated Western Michigan in last year’s Potato Bowl. Western Michigan went 7-5, 5-3 in the MAC, and is also thrilled to be in a bowl game after it was left out of a bowl last year with a 6-6 record. The Broncos played in the 2014 Potato Bowl, falling 38-24 to Air Force. The Broncos opened the season with losses to Syracuse (55-42) and Michigan (49-3) before winning six straight games. They lost to MAC foes Toledo, Ohio and Ball State before downing Northern Illinois 28-21 at home in Kalamazoo, Mich., to get their seventh win. Northern Illinois defeated BYU 7-6 in Provo on Oct. 27. Like BYU, which replaced senior Tanner Mangum with Wilson midseason, the Broncos also saw a freshman quarterback, Kaleb Eleby, take the reins the last four games after junior QB Jon Wassink was injured. The Cougars are 14-20-1 in bowl games and will be playing in their 18th different bowl. They are 3-2 all-time against Western Michigan, with all five games having been played between 1962 and 1970. Sitake talked about the importance of getting to a bowl — any bowl — after BYU lost 35-27 to Holiday Bowl-bound Utah on Nov. 24 because it provides a couple extra weeks of practice for his young team. 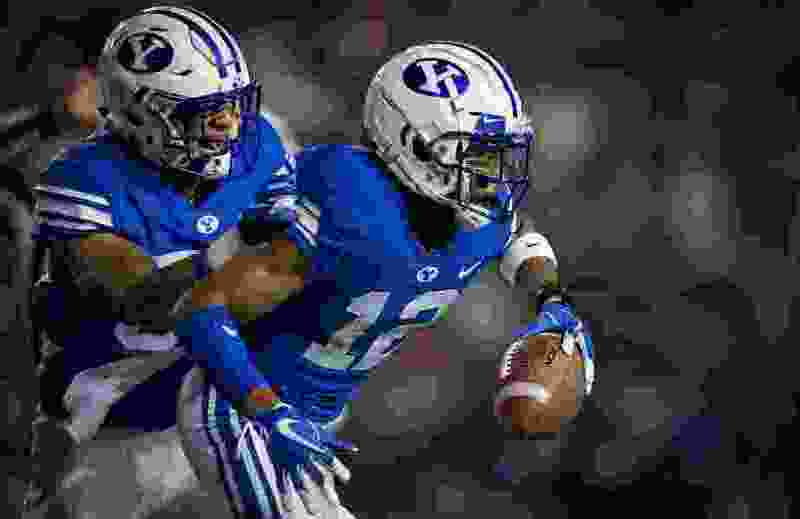 The Cougars played 26 freshmen in 2018, including 17 true freshmen. Fourteen different freshmen started at least one game. Tickets are on sale at BYUtickets.com.